For more 15 years, Lightstone Consumer has measured consumer satisfaction with Motor Body Repairers (Read: Panel Beaters). Nearly all the top-level panel beaters in South Africa make use of Lightstone's Echo-MBR platform to ensure that their customers are getting the best service possible. The Echo-MBR platform measures, on an ongoing basis, issues such as was the car "fixed right the first time? "; was it 'ready on time'; the "quality of the repair work", the MBRs staff's "friendliness" and much more. "We have almost 1 000 Motor body repairers who subscribe to Echo-MBR and this generates an enormous amount of data, which we can analyse to produce very accurate ratings and rankings for MBRs across the country," says Paul De Vantier (MD of Lightstone Consumer) in explaining the process. One of the challenges in producing a ranking based on average scores has always been the variability that smaller sample sizes can introduce, to solve businesses such as Amazon and Google use advanced Bayesian statistical analyses for their product and service review ratings. Park Panelbeaters still operates out of premises set up 50 years ago. It's a complete family-run business, brothers Karl and Anton and other family members are passionately committed to growing the legacy started by Gerhard and Marie in 1967. These methods are remarkably accurate, reliable and robust. Lightstone Consumer has applied these methods to the data gathered over many years for almost 1000 panel beaters in South Africa to determine who is the best of the best. 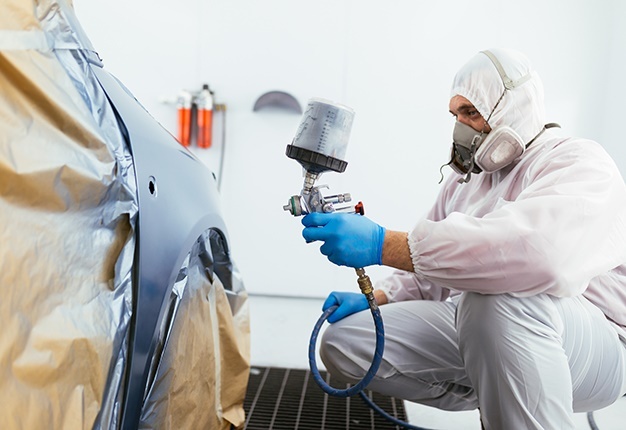 Park Panelbeater and Spraypainters in Vanderbijlpark is the overall best panel beater in South Africa for 2018. "The Echo-MBR rankings are based on issues that customer have told us matter to them. Customers most care that the repair is done right the first time, that it is completed on time, that the staff are friendly, and they are kept informed on progress," says De Vantier. These aspects make up the Echo-MBR Key Attributes Index encompassing "Fixed Right the First Time"; "Ready on Time"; "Staff Friendliness" and "Consultant Rating / Keeping Clients Informed". "I visited Park Panelbeaters myself to deliver the Echo-MBR trophy and after seeing the family-run operation first hand, I could readily see why customers rate them highly: The place is spotless, staff are friendly and enthusiastic, and the vehicle handover process is benchmark," adds De Vantier.